Here is the link to Bohl’s news conference Tuesday as he went over UW’s Poinsettia Bowl opponent — Brigham Young — and answered a lot of other questions. Nothing much changed on UW’s depth chart for the bowl game. True freshman Cassh Maluia will make his second straight start at strong-side outside linebacker. He replaced senior D.J. May, who suffered a season-ending injury in the Nov. 26 game at New Mexico. 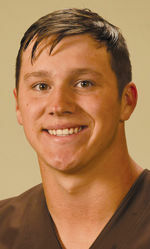 I will have a story on him later this week in the Wyoming Tribune Eagle and Laramie Boomerang, and online at wyosports.net. Sophomore nose tackle Sidney Malauulu said his foot feels better. 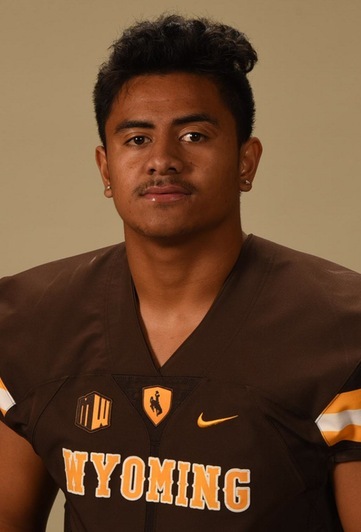 Malauulu missed three games due to that injury, but returned for the MW Championship Game Dec. 3 and had an interception. Bohl said true freshman starting left guard Gavin Rush has a back issue, but didn’t think that would keep him from starting and playing in the bowl game. Wednesday is the first day school’s can sign mid-year junior-college transfers, or players who will enroll in school in January of 2017. Was told through a source that UW does not plan to sign any mid-year junior college transfers. I’m also working on a story on some of the top UW-BYU games from the past. I am attempting to talk to some past players in some of those games, and one of them was former quarterback Phil Davis (1979-81). UW ran the option when Davis played, but while talking to him I asked him his thoughts on UW redshirt sophomore quarterback Josh Allen. My story on past UW-BYU games will be in Sunday’s Wyoming Tribune Eagle and Laramie Boomerang, and online at wyosports.net. What are some of your most memorable UW-BYU games? Chances are, the ones you are thinking of made my list as well. This entry was posted in Football and tagged Cassh Malauia, Craig Bohl, D.J. May, Garrett Crall, Gavin Rush, Jahmari Moore, Josh Allen, Mike Green, Parker Dumas, Phil Davis, Sidney Malauula, Wyoming Cowboys, Wyoming Football by Robert Gagliardi. Bookmark the permalink. Thank you very much for the kind words. I really appreciate it! Robert, what do you hear about Wyoming recruiting a quarterback? Thanks for the inside scoop! They are on a few different guys — all high school kids. Had one in last week from the midwest. No doubt Wyoming wants and needs to sign at least one in this class, but may take two of the fits are right. Look forward to your article this coming Sunday. Very much enjoyed your articles of former Wyoming greats. Brought back many fond memories of years and teams gone by. Keep up the excellent work Robert!